Academy Graduate Ian Borrows is Absolutely Smashing it! Academy Alumni Ian Borrows has produced some incredible achievements since he entered the elite level of his sport and we thought we would catch up with Ian’s career. 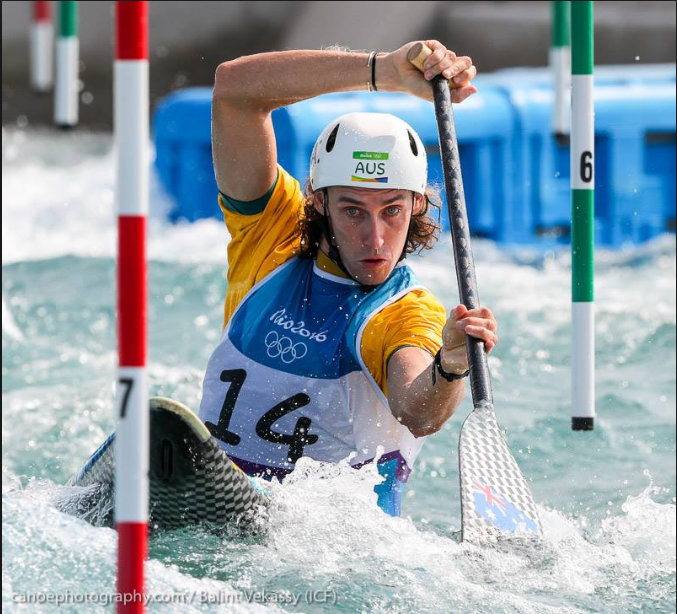 In 2009 Ian competed in the Canoe Slalom World Cup in New Zealand placing second in the C1 event and again in 2010 in China where he was awarded first place in the C1 event! Only six years later Ian achieved his ultimate goal when he qualified for the 2016 Olympic Games in Rio. In the lead up to the Games Ian competed and finished as the top Australian in two of three Olympic nomination races! Moving on to compete in the Olympics that year, he was Australia’s sole competitor in the men’s C1 event. Finishing the first round in 5th place, he secured his spot in the semi-finals however missed out on the 10-man finals by only 0.09 of a second! Ian’s final result at the end of the 2016 Olympic Games was 11th place. We are so proud of Ian and all his achievements!